What your tattoo artist doesn't know might just kill you. And it isn't the artist's fault, it's yours, for not giving full information about your medical history and medications. If you have a medical condition or on any kind of prescription medication, it is important that you disclose (make known, reveal) these things to your artist before any tattoo or piercing procedure. 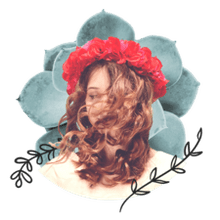 Acne Medications: You may not think of acne as being a major medical condition – which it isn’t – but if you’re taking Accutane, Minomycin (or any other Tetracycline-related medication), or any other prescription drug for acne, you do not want to get tattooed. Prescription drugs for acne cause the skin to be hyper-sensitive. 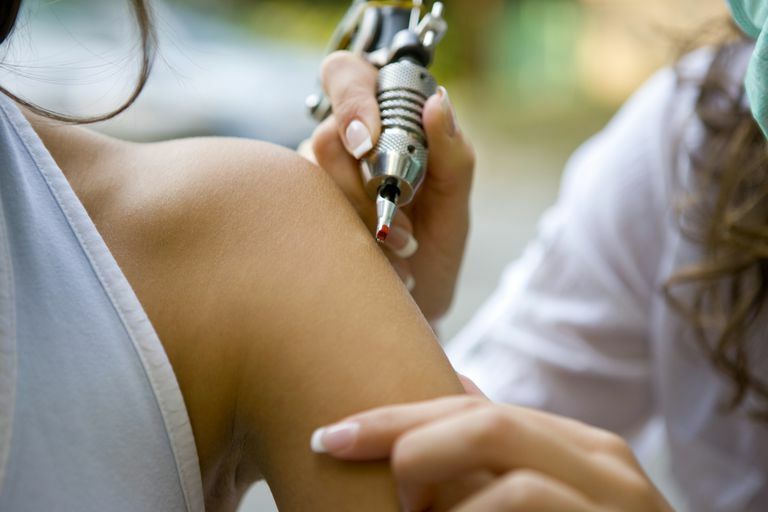 Getting a tattoo can be disastrous and lead to severe pain and scarring. And once you’re off the medication, it can take six months to a year for it to be out of your system and safe to get inked. Antibiotics: Disclose all antibiotics to your tattoo artist and discuss whether or not it is safe to proceed. Some antibiotics make the skin hypersensitive. Some people have reported unusual skin reactions to the tattoo when they were on antibiotics. Blood Thinners: If you are taking any kind of medication to thin your blood, you will want to inform your artist beforehand and possibly consult with your doctor. Depending on the reason you are taking the medication, it may not be wise to get tattooed or it may simply require shorter sessions. Anti-Rejection Drugs: If you have had an organ transplant and/or are on anti-rejection medication, getting a tattoo may not be a wise decision. Consult with your doctor first to determine if your overall health is strong enough to withstand the stress of getting tattooed and if your medications may interfere with the healing process. But They Might Turn Me Away! If you have a medical condition as mentioned above, you may be afraid that disclosing it to your artist may result in your being refused service. This is not always the case. Even when a client is HIV-positive or has hepatitis, that doesn’t mean the artist is necessarily going to turn them away. They might, but in most cases, artists recognize the risk that goes along with their job and that is why they practice Universal Precautions. But honesty is always the best policy. The artist will appreciate knowing so they can be on their guard and maybe take extra precautions if necessary. If the medical condition is only a risk to you and not to the artist – such as a heart condition – you are only hurting yourself not to disclose such information. If the artist decides that they cannot, in good conscience, proceed with the tattoo or piercing, it is only because they are concerned about your health. Artists don’t generally make a habit of turning away a paying client for no good reason. Although an artist has the right to refuse service to a potential client based on health reasons, you also have the right to take your business elsewhere if you feel the artist was in error or being unfair. Keep in mind, however, that there will always be someone out there willing to take your money regardless of your health, and you may suffer dire consequences. Is a tattoo or piercing really worth dying for?